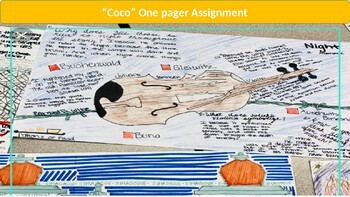 Students are to create a one pager assignment that is based on having to do research and answer questions in which students can make a personal connection with. I had my students do this after watching "Coco". Students were engaged and actively working and sharing with each other.